When I first met the Cute Gardener my udon knowledge was non-existent. I had never eaten the large Japanese wheat flour noodles and had no idea that the world of udon was to Asian cooking what pasta is to Italian: full of possibilities, combinations and endless variety. Now, searching out the perfect bowl of broth laden with the perfectly made udon noodle has become as second nature to the CG and I as our simultaneous hunt for good burgers. One of our favorite weekend activities is to head down to Little Tokyo in Los Angeles and try a new udon place before heading to the Japanese market for our fix of Asian groceries. The streets in the neighborhood are full of noodle joints and on any given Sunday morning you will see early lines of salivating folk leading out of the most popular ones. The CG looks for noodles that are big, soft and chewy, swimming in a mild hot broth that is also hearty. I like mine thick, slippery and cold dipped in miso or soy based broths accented with seaweed, shiso and plum chili. Both of us are hard pressed to turn down floating slabs of tender pork. We both enjoy a crunchy piece of tempura to dip into the soup as it sheds crispy bits of flavor-filled batter to meld with the rich, savory liquid. The CG will alternate his fried meat while I typically stick with a sweet and dense fish cake. 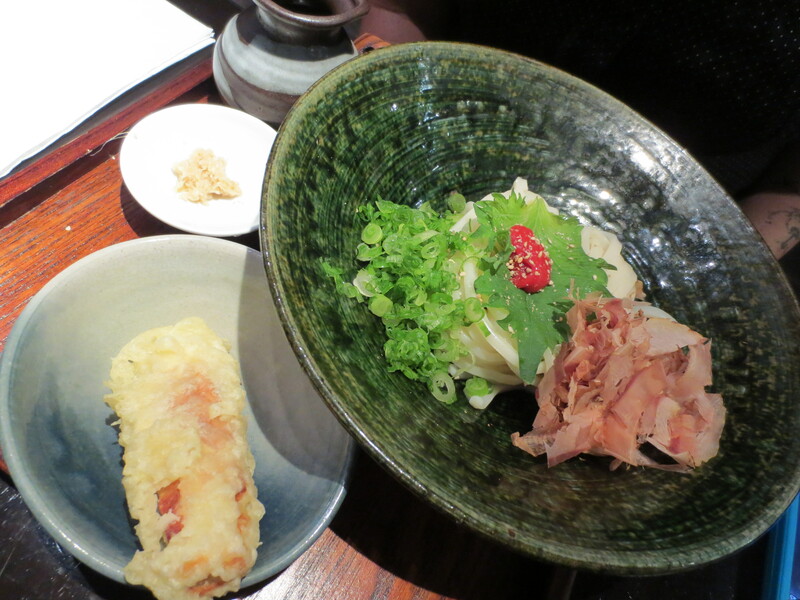 Oftentimes we’ll splurge on an egg in the mix like the recent lushly, soft boiled tempura one at Marugame Monzo. Marugame Monzo is the most popular kid on the udon block at the moment, having opened recently and just been reviewed by Johnathon Gold in the LA Times Saturday last weekend. 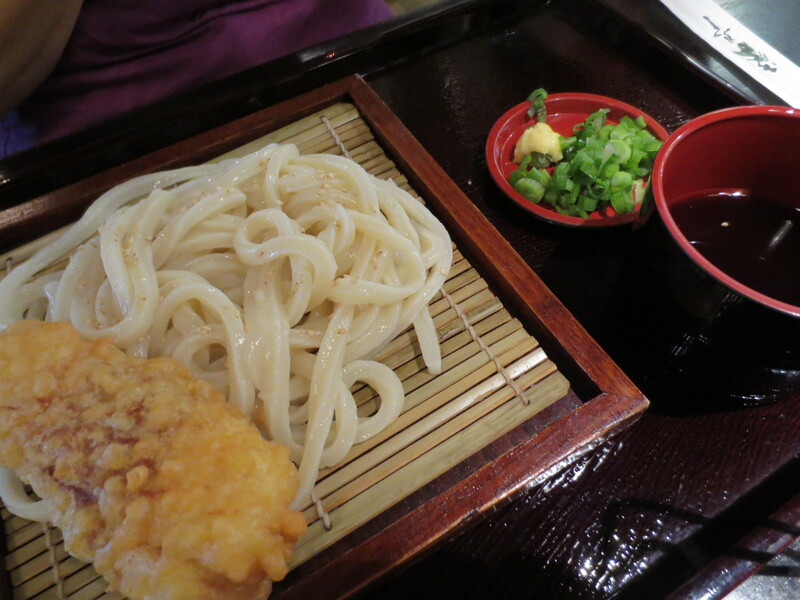 But the thing with udon is that there tends not to be a hierarchy in pricing between good and bad bowls. Oftentimes a cheap, fast food version of the dish is just as good for a lot less dough than a fancier place. Marugame was certainly nice with its intimate woodsy, zen décor and dining room with a glass-enclosed area where the noodle chef stood like a prized panda at the zoo throwing dough and expertly cutting long, precisely measured strands. But Tsurumaru, upstairs in the Little Tokyo Market Place mall was just as good with its cafeteria like assembly line, cashier adjacent tempura case and extremely fat and gummy noodles for less time and money. Being that both these shops offer hand made noodles, I will be hard pressed not to want to try both of them again on a whim while elsewhere our udon search continues. It’s taken me about a year and a half to start feeling like chopsticks can become a natural extension of my fingers and I still have a bit of trouble with noodles in soup so eating lots of udon is a great excuse to practice. 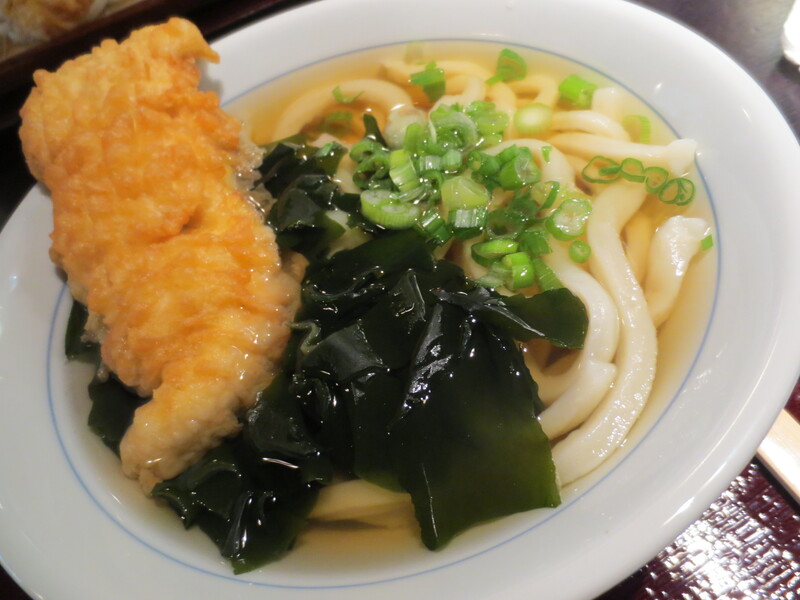 I recently learned that much of the slurping you hear in udon shops is due to the legend that the noodles taste better within the first five minutes of being dunked in the broth – so happy rapid eating is also encouraged. 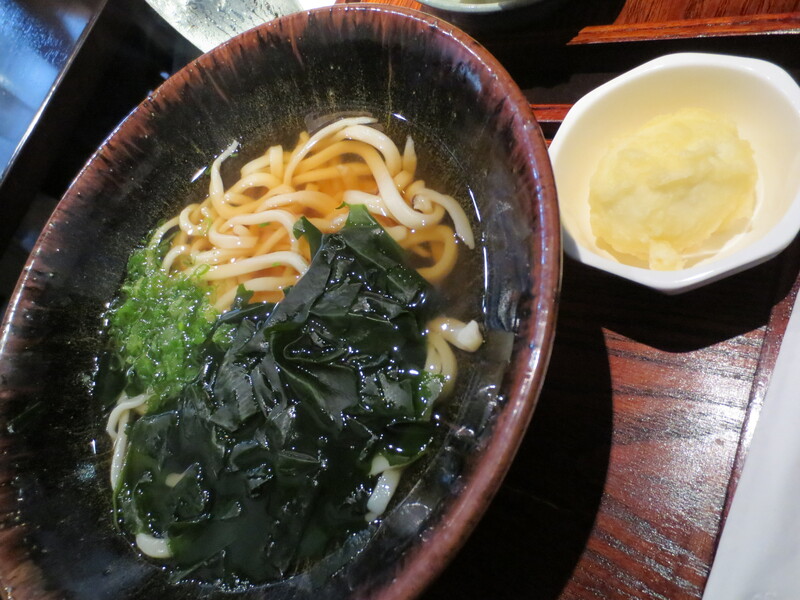 This entry was posted in Eating Out and tagged Cute Gardener, housemade udon in littel tokyo, Kimberly Nichols, los angeles udon, marugame monzo, tsurumara udon honpo, Unorthodox Foodie by unorthodoxfoodie. Bookmark the permalink. This has been on my list of places to try in LA when we are up for the Phil. Great to know about the little spot in the Tokyo Market place.